Does your mattress work well with boxspring? 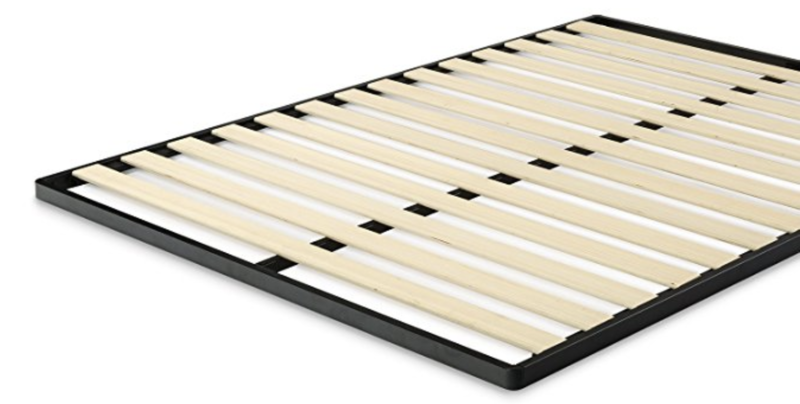 We don't recommend using a boxspring because it contains springs. Firmer, non-yielding surfaces are better suited for your Avocado Mattress. Technically speaking, yes, a boxspring will work under an Avocado Green Mattress. However, the Avocado Green Mattress is best suited for firmer, non-yielding surfaces, to include platform beds, mattress foundations or bed slats within a bed frame placed approximately 5" apart or less. In short, anything that does not contain springs. Why? Because a boxspring, like the name suggests, actually contains innersprings. Using a boxspring with an Avocado Green Mattress tends to make the sleeping experience too "springy" for most customer preferences. If you are not sure, try adding a strong, supportive bunkie board (Like the Zinus one shown below) between the boxspring and the mattress. The flat surface will offer a firm, non-yielding surface that is ideal. If you select this option, we also recommend placing the mattress on a coconut pad that will still allow for proper airflow.